OLLI French Teacher Bern Terry and Assistant Director Cathi Cody-Hudson join up to lead a trip to Quebec City. We’re planning a very special long weekend in this most European of North American cities. 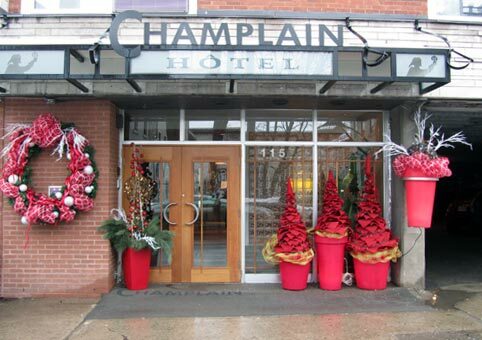 We will travel via bus to Montreal, and then by the lovely Canada Rail train to Quebec City, where we will stay in the charming Hotel Champlain in the heart of the Old Upper Town. We’ll explore the German-style Christmas Market, (great timing for holiday gift buying!) 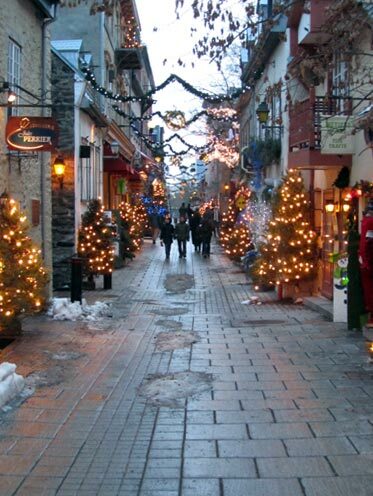 enjoy delicious cuisine, art, museums, and explorations of the architecture and history of Quebec. With our central location, members will have time for walking and adventures on their own or in smaller groups. Price of Trip: $930 per person, double occupancy. $100 additional for single supplement. Note: if you are a single person who would like to request a roommate to avoid the single supplement, please choose that option on the registration form. We will do our best to fulfill this request but cannot guarantee it. 3 nights hotel (double occupancy, additional single supplement available). Passport or passport card is required for travel to Canada. Please check yours for expiration well in advance! Enjoyment of group travel, group decision making process, and flexibility with schedules. Ability to handle the stress that can come with international travel. *We please ask that you pack very lightly into one rolling carry-on bag because with buses, trains, cabs, and walking there will be a fair amount of baggage handling and each person must be responsible for their own luggage. Early departure! !Travel by taxi to train station. *We will have some time in Montreal during our “layover” and can take a walk to Chinatown or other areas near Train/Bus station.